Using this process, the scientists were further able to bring two, three and four silicon atoms together to build clusters and make them rotate within the graphene layer. Graphene is a two-dimensional, or 2D, layer of carbon atoms that exhibits unprecedented strength and high electrical conductivity. Dyck said he selected graphene for this work, because "it is robust against a 60-kilovolt electron beam." "We can look at graphene for long periods of time without hurting the sample, compared with other 2D materials such as transition metal dichalcogenide monolayers, which tend to fall apart more easily under the electron beam," he added. Dyck and ORNL colleagues Sergei Kalinin, Albina Borisevich and Stephen Jesse are among few scientists learning to control the movement of single atoms in 2D materials using the STEM. 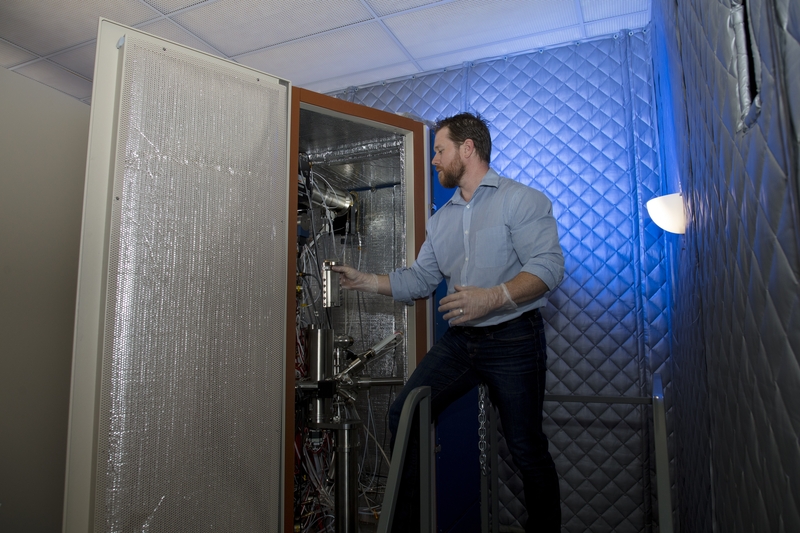 Their work supports an ORNL-led initiative coined The Atomic Forge, which encourages the microscopy community to reimagine STEM as a method to build materials from scratch. The fields of nanoscience and nanotechnology have experienced explosive growth in recent years. One of the earlier steps toward Feynman's idea of building tiny machines atom by atom--a follow-on from his original theory of atomic manipulation first presented during his famous 1959 lecture--was seeded by the work of IBM fellow Donald Eigler. 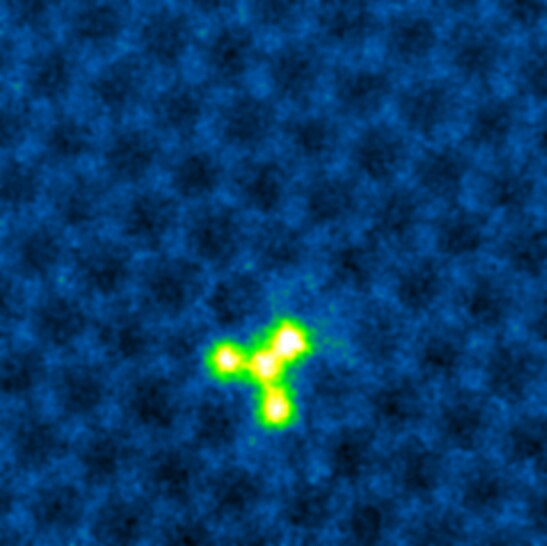 He had shown the manipulation of atoms using a scanning tunneling microscope. Dyck cautioned that while building a qubit from phosphorus-doped graphene is on the horizon, how the material would behave at ambient temperatures--outside of the STEM or a cryogenic environment--remains unknown. Co-authors of the paper titled, "Building Structures Atom by Atom via Electron Beam Manipulation," are Ondrej Dyck, Sergei V. Kalinin and Stephen Jesse of ORNL; Songkil Kim of Pusan National University in South Korea; Elisa Jimenez-Izal of the University of California and UPV/EHU and DIPC in Spain; and Anastassia N. Alexandrova of UPV/EHU and DIPC in Spain and the California NanoSystems Institute. The research was funded by ORNL's Laboratory-Directed Research and Development program. Microscopy experiments were performed at the Center for Nanophase Materials Sciences, a DOE Office of Science User Facility.